In most cases, your Department of Motor Vehicles (DMV) office will mail you a renewal notice several weeks prior to the expiration of your commercial drivers license (CDL). If you do not receive a license renewal notice, you will be still be responsible for renewing your commercial drivers license on time. NOTE: Usually, license renewal notices are courtesies; don't rely on them. Each DMV governs differently, of course. New York, for example, allows CDL holders to renew in person, online, or by mail, whereas most other states require renewing only in person. In most instances, your renewal notice will explain your options. Complete a CDL renewal application form. In most instances you can download this form from your DMV's website. Save time by completing the form before arriving at the DMV. Provide a recent eye test report. Or, if not, be prepared to pass an eye exam at the DMV. Furnish a copy of your Medical Examiner's Certificate (if applicable). Have proper payment for all applicable license renewal fees. NOTE: If you've allowed your CDL to remain expired for a specified length of time (as determined by your state) you may be required to reapply for a new CDL. This includes passing the written and road tests. If you plan on adding an endorsement while renewing your CDL, be prepared to pass a written test for the endorsement of your choice. You will also need to have payment for any additional endorsement costs. Pass a background check, which includes fingerprinting. Pass a written HazMat endorsement test. NOTE: Keep in mind that background checks can take up to 30 days to complete. Plan accordingly in relation to your CDL's expiration date. 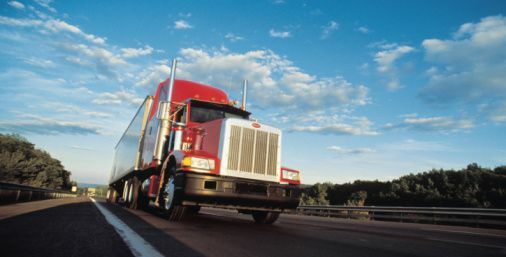 What does your state require for CDL renewal?